I have been to Walt Disney World a handful of times and each time I try and experience something new, however, since Disney is so big and is filled with so many tastes and adventures I have not experienced as much as I wish I have. Before each trip, I try and compile a list of what I must try before I leave. For my next trip, here are 5 things I have never experienced at Walt Disney World that I hope to experience on my upcoming visit. 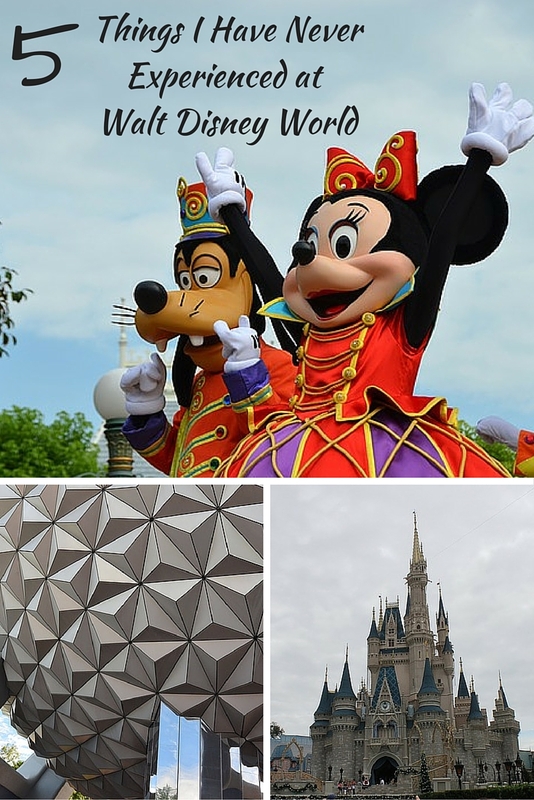 Walt Disney World is full of everything amazing; from the food to the shows to the characters! I love all of the Walt Disney Theme Parks and each time we go I feel like we rush through each one so that we can say we experienced all of them during our trip that is always too short. 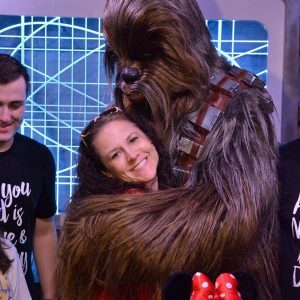 I looked back on my times at Disney and realized that there are a few things that I cannot believe I have never experienced. I am not sure why I’ve not experienced some of these things but I hope to make sure that I experience them on my next trip to Walt Disney World. Dole Whip: Can you believe I have never tried a Dole Whip? To be honest, I never knew what they were until a few years ago and the last time I went to Disney, I could not find where they were sold when I wanted to try one. Biergarten Restaurant: My family loves Epcot and we always try and eat at one restaurant within Epcot. Since I have a new found love for German food, eating at the Biergarten Restaurant is definitely on my list. Mickey’s Very Merry Christmas Party: I have never attended Mickey’s Very Merry Christmas Party because we have so many kids and the cost to attend would be outrageous, but after some thought it may be a once in a lifetime experience. Disney’s Keys to the Kingdom Tour: I have always been fascinated by the magic of Disney and how it is run. I think that the Keys to the Kingdom Tour would create many memories and leave me speechless. Disney’s Spirit of Aloha Dinner Show: Every time my family has been to Disney, we have made reservations to go to the Aloha Dinner Show but each time it has been cancelled for one reason or the next. The show seems so much fun that the next time we visit Disney, we will make reservations again and have our fingers crossed for good weather. Disney is the most magical place on Earth, so it is important, to me at least, to experience as much as possible. Is there anything that you’ve never experienced at Walt Disney World that you have on your list? Is there anything on my list that I should possibly skip? If you love Disney, check out these other amazing Disney posts: 5 Disney Inspired Themed Party Treats, Bring Your Emotions Back to Life, 5 Amazing WDW Character Dining Restaurants, What to Skip at WDW, 5 Must Do Attractions at Epcot, What Not to Buy at Walt Disney World, 5 Walt Disney World Restaurants Not Worth Skipping, and more. Dole Whips can be found be at Aloha Isle which moved behind the Magic Carpets of Aladdin in Adventureland at the Magic Kingdom. I believe they can also be found at Animal Kingdom at Tamu Tamu Refreshments in Africa (I believe they are available with Rum in the Animal Kingdom ;)). Sometimes they can be found at Epcot during Food and Wine Festival and the Flower and Garden Festival. I recommend them as a snack on your next trip light and refreshing. I was not a fan of Biergarten – I feel like we have better German Restaurants in Texas. We loved Keys to the Kingdom tour – it includes lunch at Columbia Harbor House and a collectible golden key pin. I haven’t had a Dole Whip either! When we went, I kept waiting until the right moment and then, the weather turned COLD! Ugh! Next time! I could never find them! I love Disney, but I’ve never tried any of those, and honestly, they’re not high on my personal list. I’m not a fan of fruit flavored ice cream, but the Dole Whip is sold at one of the restaurants in Adventureland.